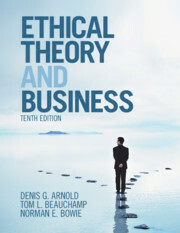 For forty years, successive editions of Ethical Theory and Business have helped to define the field of business ethics. 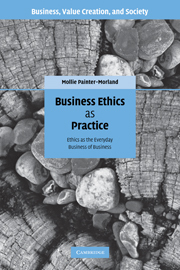 The 10th edition reflects the current, multidisciplinary nature of the field by explicitly embracing a variety of perspectives on business ethics, including philosophy, management, and legal studies. 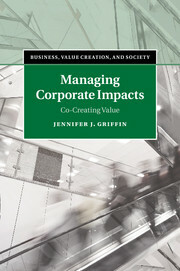 Chapters integrate theoretical readings, case studies, and summaries of key legal cases to guide students to a rich understanding of business ethics, corporate responsibility, and sustainability. 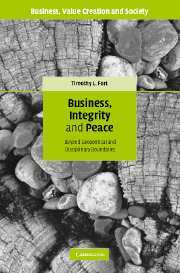 The 10th edition has been entirely updated, ensuring that students are exposed to key ethical questions in the current business environment. 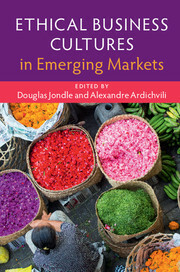 New chapters cover the ethics of IT, ethical markets, and ethical management and leadership. Coverage includes climate change, sustainability, international business ethics, sexual harassment, diversity, and LGBTQ discrimination. New case studies draw students directly into recent business ethics controversies, such as sexual harassment at Fox News, consumer fraud at Wells Fargo, and business practices at Uber. 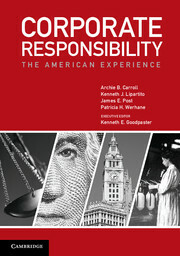 Denis G. Arnold is the Surtman Distinguished Professor of Business Ethics at the University of North Carolina, Charlotte. One of the world's leading experts in business ethics, he is a former Editor in Chief of the prestigious scholarly journal Business Ethics Quarterly, published by Cambridge University Press, and a past-president of the Society for Business Ethics. His research includes scores of articles and chapters and several books. A distinguished teacher praised by students at the undergraduate, M.B.A., doctoral, and executive levels, he has provided ethics training for leaders at Fortune 500 companies, smaller enterprises, and non-profit organizations. 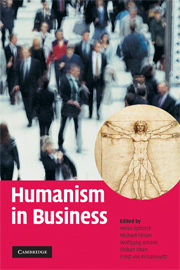 Norman E. Bowie is the author or editor of 18 books in business ethics, ethics, and political philosophy. His Business Ethics: A Kantian Perspective (Cambridge, 2017), which has been translated into Japanese and Chinese, has just appeared in a much revised and expanded 2nd edition. 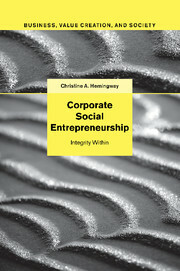 Other books include Business Ethics in the 21st Century (2013) and Business Ethics for Dummies (2011). He is past president of the Society for Business Ethics and former Executive Director of the American Philosophical Association. In 2009, the Society for Business Ethics honored him with an award for scholarly achievement. 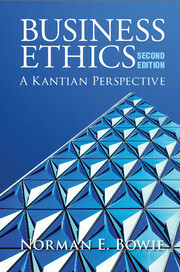 The festschrift Kantian Business Ethics was devoted to his work. Tom L. Beauchamp holds graduate degrees from Yale University and The Johns Hopkins University, where he received his Ph.D. in 1970. He then joined the faculty of the Philosophy Department at Georgetown University, Washington, DC and a joint appointment at the Kennedy Institute of Ethics as Senior Research Scholar. 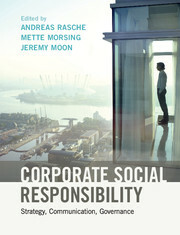 He is the author of Case Studies in Business, Society, and Ethics (2003); and Philosophical Ethics (2001). He is co-author of The Human Use of Animals (2008), Principles of Biomedical Ethics (2012), and A History and Theory of Informed Consent (1986). Many of his articles were republished under the title Standing on Principles: Collected Works.